In The Work of the Lord (1), we began to look at the contentious issue of “the work of the Lord” (1 Cor 15:58), and I laid out two main positions: one that affirms that “the work of the Lord” is Christian ministry—that it is “not in vain,” while non-ministry work therefore is in vain. The other position sees all work performed by the Christian as “work in the Lord,” seeing no inherent difference between Christian ministry and all other work in terms of value or meaning. This week I will argue for the first part of a mediating position. The “work of the Lord” and “labor in the Lord” is, in fact, Christian ministry. The second part will follow next week, arguing that this does not mean that other work is in vain. First, we don’t need to go far to find the only other instance of Paul’s phrase, “the work of the Lord.” In the next chapter, 1 Corinthians 16:10, Paul refers to Timothy, who is “working the work of the Lord, as I am.” In the context, it is clear that Paul regards Timothy as a fellow worker in the work of the gospel, alongside Paul. If we then take Timothy as our cue, we see that elsewhere Paul refers to him as his “coworker” (1 Thess 3:2). Chasing down all the references to Paul’s “coworkers,” we see that all such people are workers in gospel ministry in some capacity (Rom 16:3, 9, 21; 1 Cor 3:9; 2 Cor 8:23; Phil 2:25; 4:3; Col 4:11; Phlm 1, 24). Those who labor in the Lord among the Thessalonians are those who lead and admonish fellow believers. They do the work of Christian ministry among the fellowship of believers. There are also several references to “labor” (sans “in the Lord”) that clearly refer to ministry (see Rom 16:12; Gal 4:11; Phil 2:16; Col 1:29; 1 Tim 5:17). While the “work of the Lord” is, in fact, Christian ministry, whatever job one may have, we can all participate in the work of the Lord in a corporate sense, through a range of capacities. Third, further along in 1 Corinthians 16 (vv. 15–16), Paul refers to the household of Stephanas and urges the Corinthians “to submit to such people and to everyone working and laboring.” While the phrase “in the Lord” is absent, it is impossible not to read this as parallel to 15:58 given its close proximity. The Corinthians are to submit to such people, which suggests that their work and labor is Christian ministry. The reason that the “work of the Lord” is therefore not in vain is because its object—people—will be raised imperishable, never to die again. Death has been swallowed up in victory (v. 54). The Corinthians are to give themselves fully to the work of the Lord because this labor is not in vain. Through gospel proclamation, teaching the word of God, edification and encouragement, people are found mature in Christ, and they therefore become the imperishable fruit of such work. While this does not mean that all other types of work that Christians perform is meaningless, futile, and without eternal consequences—as I will argue next week—1 Corinthians 15:58 does put a special status on the work of Christian ministry, since the fruit of such labor will never perish, spoil, or fade. One final note. 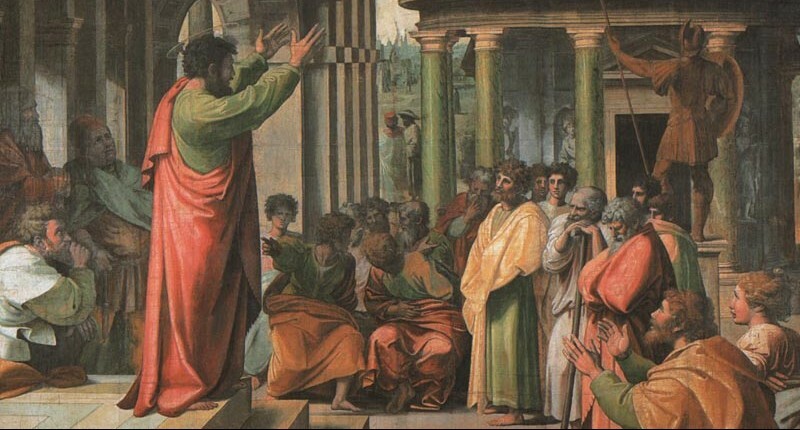 While the “work of the Lord” and “labor in the Lord” refers to Christian ministry, clearly it is not only for those in “full-time, vocational Christian ministry.” Otherwise it would make no sense to encourage the Corinthian congregation as a whole to give themselves to this work, as Paul clearly does in the general instruction of 15:58. Whatever job one may have, we can all participate in the work of the Lord in a corporate sense, through a range of capacities.